REDS Racing expands their manifold range by adding a new Long manifold to the current Medium, Short and Extra Short manifolds. 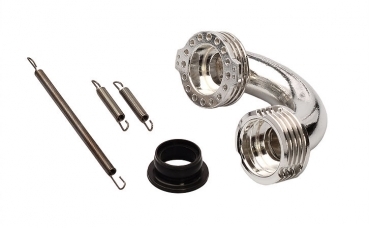 Each manifold has been designed for different track conditions and to optimize performance. M (Medium) is recommended for medium grip tracks where more bottom torque is required, top speed will be slightly lower.